St Marylebone Parish Church is a place of active and engaged Christian witness, set at the very heart of central London. With a history stretching back nearly 900 years, we seek to offer God worship that has long been renowned for musical and liturgical excellence and to serve the diverse community in which we are set. As a Major Parish Church the Church of England recognises that St Marylebone is a place of “exceptional significance, has a role beyond that of a typical parish church and that we make a considerable civic, cultural and economic contribution to our community”. For more than 30 years, St Marylebone, just a few metres from Harley Street, has pioneered the work of Christian healing and, as well as being home to the internationally respected St Marylebone Healing and Counselling Centre, which offers low-cost analytical psychotherapy and spiritual direction, the Crypt at St Marylebone also houses an innovative NHS doctor’s surgery - the Marylebone Health Centre. Our work is enhanced by maintaining close and active links with some of medicine’s Royal Colleges and through our provision of chaplaincy to The London Clinic and King Edward VII’s Hospital. St Marylebone has a flourishing Young Church which complements our two schools: The St Marylebone Church of England School, an Outstanding Academy, National Teaching School and Maths Hub, and The St Marylebone Church of England Bridge School, a Free Special School working with secondary school age students who have speech, language and communication difficulties. Alongside our two schools St Marylebone works closely with the Royal Academy of Music and the University of Westminster, providing chaplaincy services to both, and also with Regent’s University. As a parish church in the Diocese of London, we share a vision of a Church for this great world city that is Christ-centred and outward looking. By God’s grace we seek to be more confident in speaking and living the Gospel of Jesus Christ, more compassionate in serving others with the love of God the Father and more creative in reaching new people and places in the power of the Spirit. Opening times: The church is open at least from 9 am - 5 pm Monday to Friday and from 8 am - 4 pm Saturdays & Sundays. Occasionally some spaces may be closed due to events. 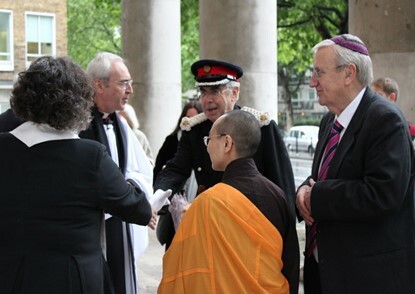 St Marylebone Parish Church is committed to safeguarding all people. Our policy can be seen in the Documents menu on the right of this page.